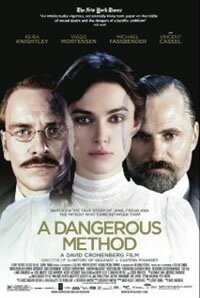 A Gala Presentation at the 2011 Toronto International Film Festival�, A Dangerous Method is a brooding tale of dark desire and the dread that lurks behind genius, experienced by intellectual misfits in conventional society. Set in Vienna on the eve of the First World War, the film explores the complex relation�ship between novice psychiatrist Carl Jung (Michael Fassbender) and his mentor Sigmund Freud (Viggo Mortensen). When a sick young Russian woman (Keira Knightly) arrives at the clinic, both Jung and Freud are fascinated by her case and spellbound by her vulnerable yet dangerous sexuality.